I HAVE SEEN OTHER STONES LIKE THIS, BUT THIS ONE IS CLASSY ! 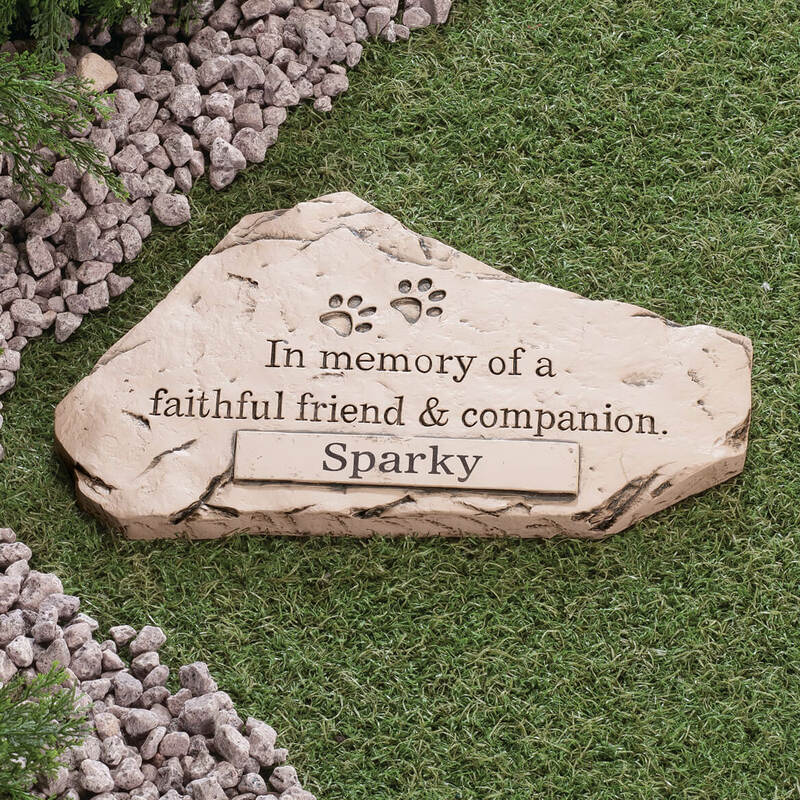 Our 16 year old poodle died last year and we have had a difficult time finding something to put over his grave. This one fit the bill better than any other ones we’ve seen. 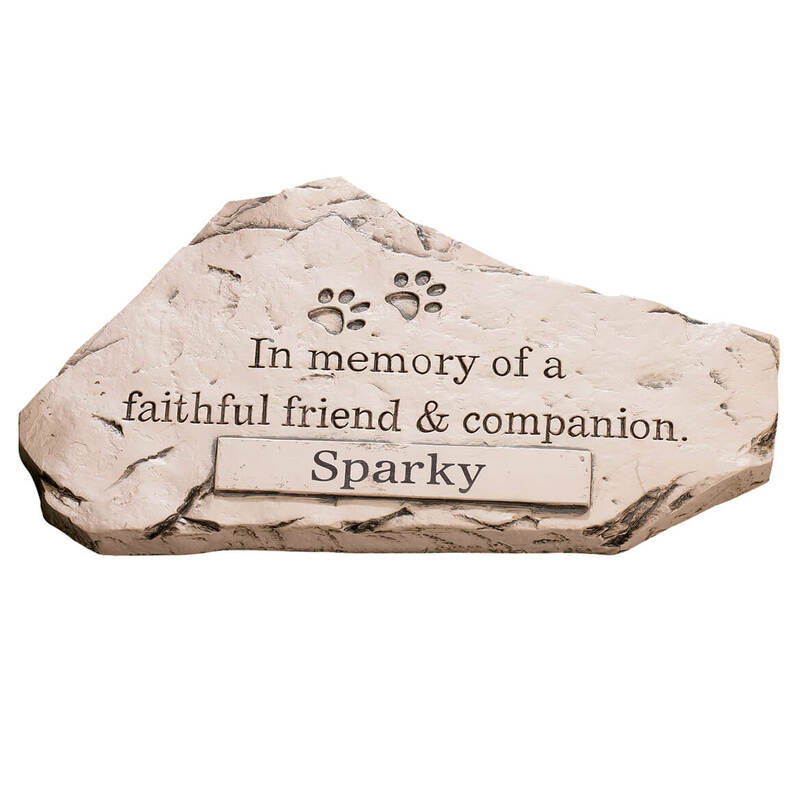 This stone is in memory of one of our beautiful Shelties. 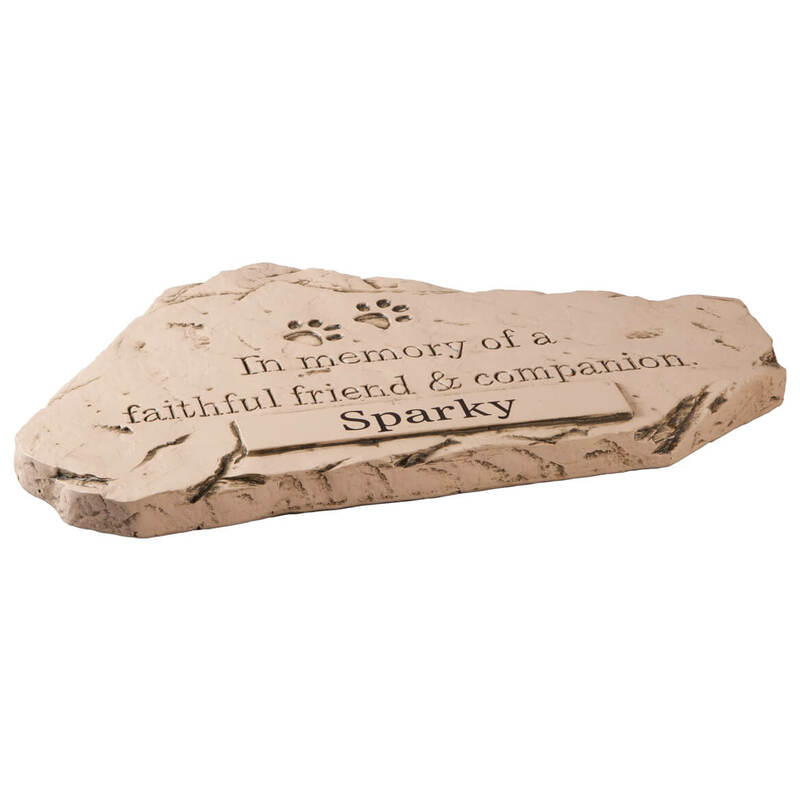 I rescue cats and there is no local cemetery for pets so I make sure they get nice memorials and go to a rural pet cemetery which is beautiful. I picked it for two of our beloved shelter dogs in order for their memory to live on. Also we liked the price and the material sounds like it will hold up to the weather conditions. Thank you so much. I liked that it was different than the two I bought for my cats.